THK Indus Moral CARE is a joint project of the Ministry of Social and Family Development (MSF), Housing and Development Board (HDB), and Thye Hua Kwan Moral Charities. It aims to improve the quality of life of elderly residents living in HDB one and two-room rental flats. Indus Moral CARE was officially opened by Mr Wong Kan Seng, then Minister for Home Affairs and Dr Lily Neo, Member of Parliament, Kreta-Ayer-Kim Seng GRC and Advisor to the Centre on 24 November 2000. To integrate low income elderly (aged 60 years and above) into mainstream community living, with the support and active participation of the wider community. THK Indus Moral CARE stands for Centre of Activity for Retired and Elderly and serves the poor and needy senior citizens of Blk 79 and neighboring blocks. To date, approximately 250 clients are registered with the Centre. 50% of expenditure is funded by MSF and the rest is contributed by Thye Hua Kwan Moral Charities. Sometimes, kind donors make contributions in cash and kind for various functions and celebrations. THK Bedok Radiance SAC is a joint project of the Ministry of Social and Family Development (MSF), Housing and Development Board (HDB), and Thye Hua Kwan Moral Charities. It aims to improve the quality of life of elderly residents living in HDB one and two-room rental flats. THK Bedok Radiance SAC started since 8th November 2012. 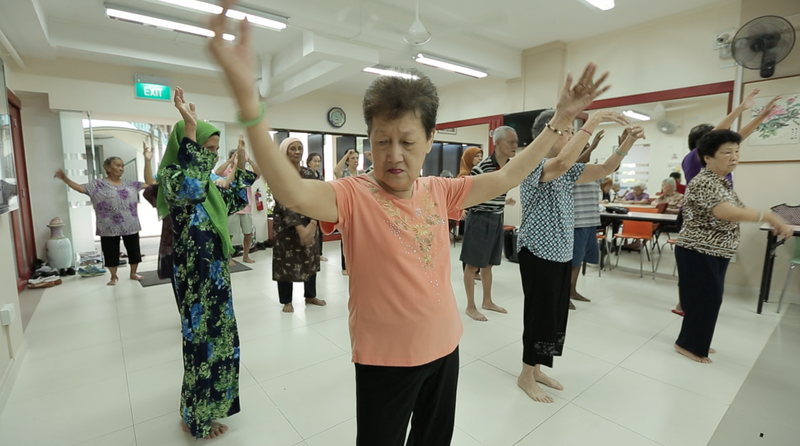 THK Bedok Radiance Senior Activity Centre (THK-BRSAC) is committed to the well-being of all people, reaching out to the various levels of needs of community. Our centre aims to foster a spirit of care and concern, and provide a platform for the elderly clients to take up proactive roles in serving the community. We hope to enhance their golden years and enable them to enjoy a high quality of life with both friends, neighbours and families. The goal of the DDP is to improve the quality of life of persons with disabilities (PWD) by enabling them to remain meaningfully engaged and integrated in the community. 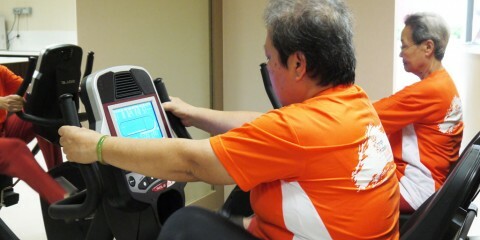 The DDP clients attend the programme thrice a week for up to 4 hours a day. This programme is funded by MSF and THK Bedok Radiance SAC is one of the 4 centres currently conducting this programme. 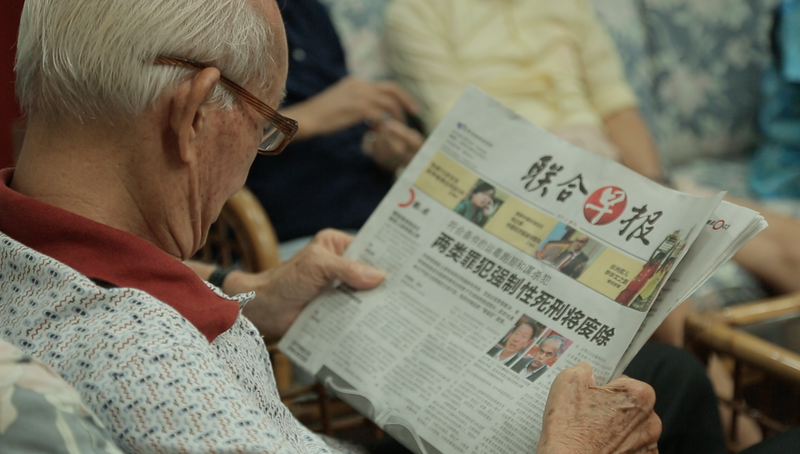 THK Seniors Activity Centre at AMK 208 is a joint project of the Ministry of Social and Family Development (MSF), Housing and Development Board (HDB), and Thye Hua Kwan Moral Charities. It aims to improve the quality of life of elderly residents living in HDB one and two-room rental flats. SAC@ AMK 208 was officially opened in January 2014. THK Seniors Activity Centre @ AMK 208 serves seniors residing in the one and two rooms rental blocks 203, 206, 217 and 224 at Ang Mio Kio Ave 1. Activities & Outings to promote healthy lifestyle through Inter-generational interactions with students, morning exercises, social games, artwork, community drumming, movies, karaoke, health talks, festive celebrations, outings to places of interest, lunch & dinner invitations and groceries distribution. 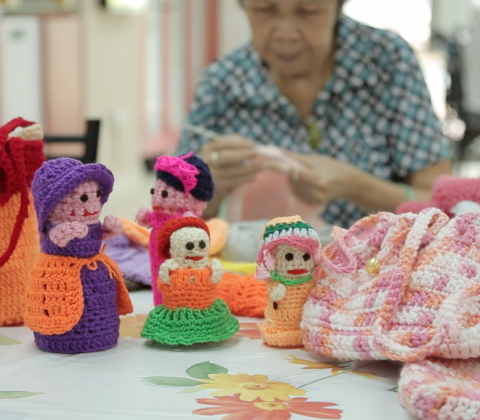 THK Seniors Activity Centre @ AMK 257 is a joint project of the Ministry of Social and Family Development (MSF), Housing and Development Board (HDB), and Thye Hua Kwan Moral Charities. It aims to improve the quality of life of elderly residents living in HDB one and two-room rental flats. THK SAC @ AMK 257 is THK’s very first SAC to incorporate a therapy clinic. Physio and Occupational therapists will be stationed at this SAC to provide therapy programmes, assessments and consultations to elderly residents residing in the vicinity. Outings and entertainment like karaoke sessions, etc. 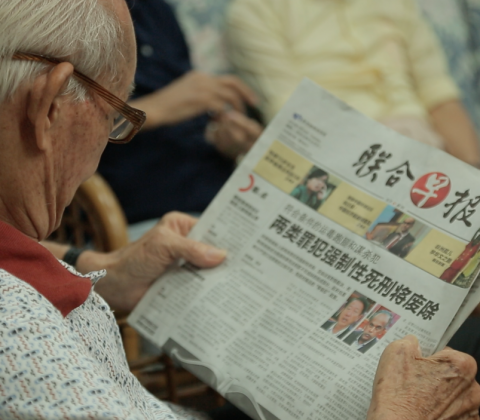 THK Seniors Activity Centre @ AMK 645 is a joint project of the Ministry of Social and Family Development (MSF), Housing and Development Board (HDB), and Thye Hua Kwan Moral Charities. It aims to improve the quality of life of elderly residents living in HDB one and two-room rental flats. This programme is funded by MSF and SAC@AMK 645 is one of the 4 centres currently conducting this programme. THK Seniors Activity Centre @ Beo Crescent is a joint project of the Ministry of Social and Family Development (MSF), Housing and Development Board (HDB), and Thye Hua Kwan Moral Charities. It aims to improve the quality of life of elderly residents living in HDB one and two-room rental flats. We engage the elderly to be active participants in the neighborhood they live in and adopt a positive attitude towards aging. To do so, we organise a range of activities and provide facilities aimed at promoting healthy living and life-long learning. We also provide social assistance, information and referral to services such as family counselling and respite services. 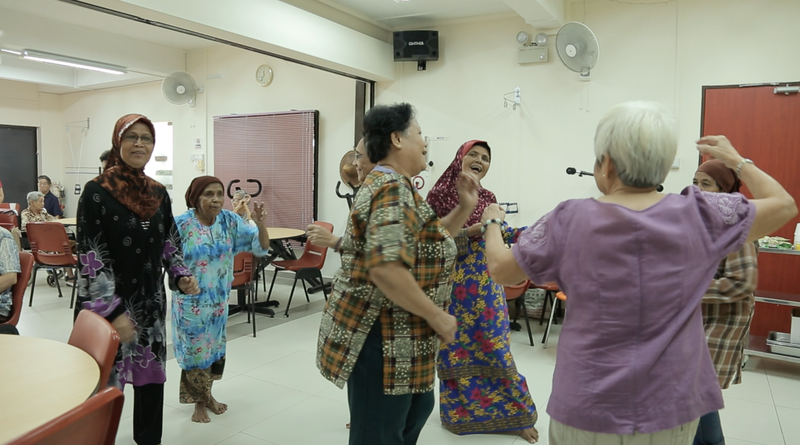 THK Seniors Activity Centre @ Boon Lay is a joint project of the Ministry of Social and Family Development (MSF), Housing and Development Board (HDB), and Thye Hua Kwan Moral Charities. It aims to improve the quality of life of elderly residents living in HDB one and two-room rental flats. 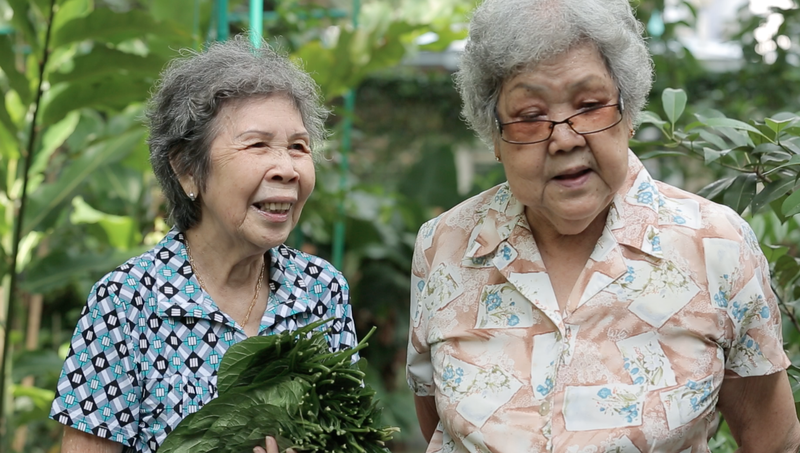 THK Seniors Activity Centre @ Boon Lay serves as a focal point for information and referral as well as for community activities where elderly residents, come together for activities and community services that enhance their social well-being. 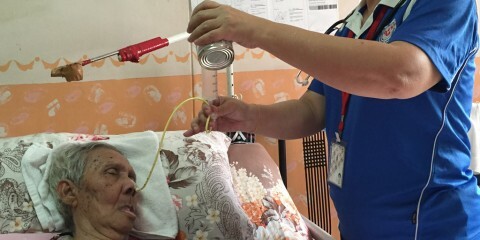 Needy residents such as frail elderly living alone, dysfunctional or low-income families, or the disabled who needs social support can also approach us for arrangement of food rations, meals delivery and volunteer help. THK Seniors Activity Centre @ Bukit Merah View is a joint project of the Ministry of Social and Family Development (MSF), Housing and Development Board (HDB), and Thye Hua Kwan Moral Charities. It aims to improve the quality of life of elderly residents living in HDB one and two-room rental flats. SAC@ Bukit Merah View was officially opened on February 2002. 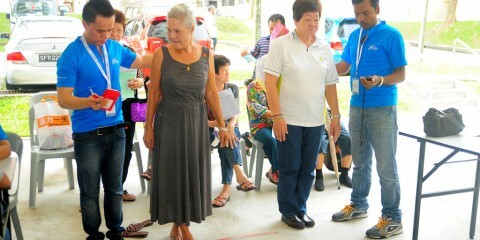 THK Seniors Activity Centre @ Cassia is a joint project of the MSF, HDB and THKMC. 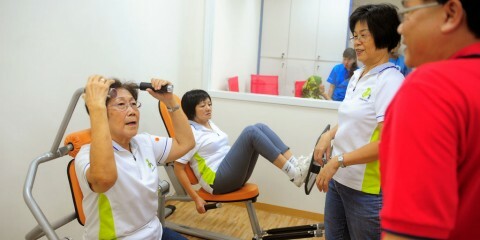 It aims to improve the quality of life of elderly residents living in HDB one and two room rental flats. To integrate low income elderly (aged 60 and above) into mainstream community living, with the support and active participation of the wider community. 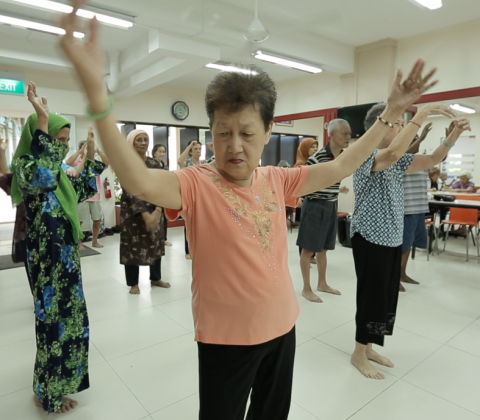 THK Seniors Activity Centre @ Fengshan 101 is a joint project of the Ministry of Health (MOH), Housing and Development Board (HDB), and Thye Hua Kwan Moral Charities. It aims to improve the quality of life of elderly residents living in HDB one and two-room rental flats. THK SAC @ Fengshan 101 started operations in Oct 2018. THK Seniors Activity Centre @ Fengshan 101 serves seniors residing in the one and two room rental blocks 101 and 106 at Bedok North Ave 4. THK Seniors Activity Centre @ Fengshan 114 is a joint project of the Ministry of Health (MOH), Housing and Development Board (HDB), and Thye Hua Kwan Moral Charities. It aims to improve the quality of life of elderly residents living in HDB one and two-room rental flats. THK SAC @ Fengshan 114 started operations in Oct 2018. THK Seniors Activity Centre @ Fengshan 114 serves seniors residing in the one and two room rental blocks 113 and 114 at Bedok North St 2. 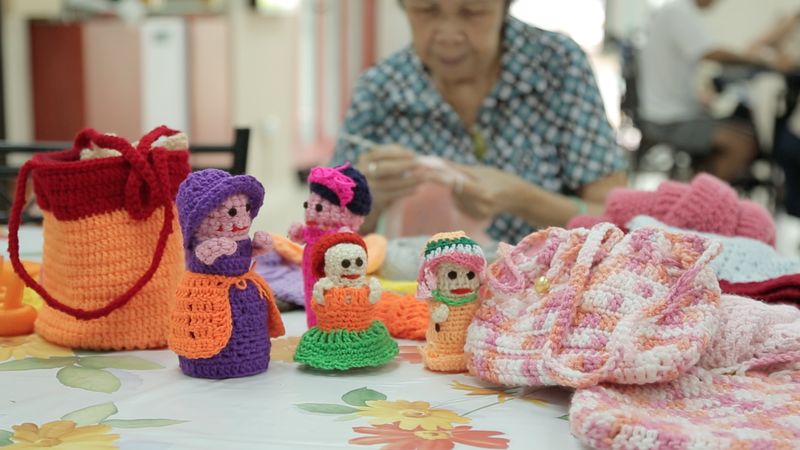 THK Seniors Activity Centre @ Henderson (Satellite 93) is a joint project of the Ministry of Social and Family Development (MSF), Housing and Development Board (HDB), and Thye Hua Kwan Moral Charities. It aims to improve the quality of life of elderly residents living in HDB one and two-room rental flats. SAC@ Henderson (Satellite 93) was officially opened on 4 February 2012. THK SAC @ Henderson (Satellite 93) currently serves seniors residing in the one-room rental blocks at Blk 91, 92 & 93 Henderson Road. Satellite 93 provides programmes that support active ageing, empower the elderly to live independently, stay socially engaged and enjoy a better quality of life. Special attention is made towards developing social spaces to encourage the elderly to interact with each other, exercise, and/ or participate in enriching and stimulating programmes. The centre is proactive in reaching out and engaging the seniors, monitor the frail and/ or homebound seniors, and provide appropriate referrals to other social service agencies on behalf of the seniors with total respect to the seniors’ needs, privacy, culture, language, religion and beliefs. Another important aspect of the centre is its commitment to encourage volunteerism through its Mutual Help Group programme to enable seniors and neighbours to help each other in times of need. 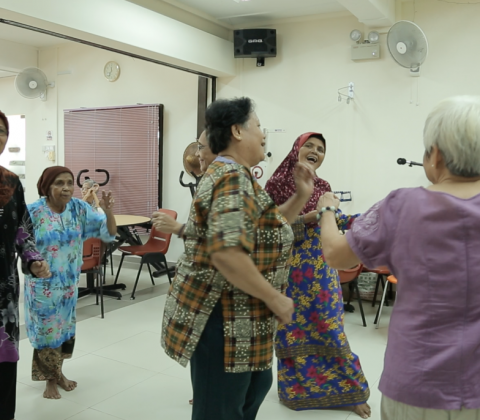 THK Seniors Activity Centre @ Kaki Bukit is a joint project of the Ministry of Social and Family Development (MSF), Housing and Development Board (HDB), and Thye Hua Kwan Moral Charities. It aims to improve the quality of life of elderly residents living in HDB one and two-room rental flats. SAC@ Kaki Bukit was officially opened by Mr Chew Heng Ching, MP for East Coast GRC and Adviser to Kaki Bukit GROs on 24 March 2002. 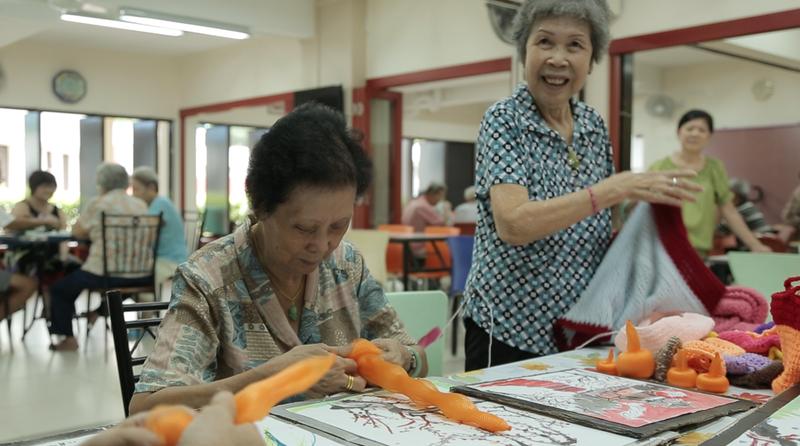 THK Seniors Activity Centre @ MacPherson is a joint project of the Ministry of Social and Family Development (MSF), Housing and Development Board (HDB), and Thye Hua Kwan Moral Charities. It aims to improve the quality of life of elderly residents living in HDB one and two-room rental flats. SAC@ Macpherson was officially opened by then Acting Minister for Community Development, Mr Abdullah Tarmugi on 29 November 1995. 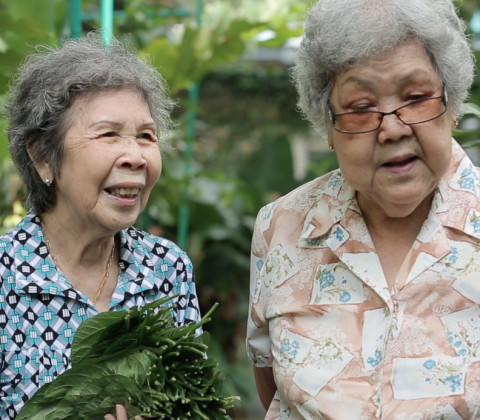 THK Seniors Activity Centre @ MacPherson currently serves seniors residing in the one-room rental blocks 90 and 94 Pipit Road as well as six two-room blocks 51, 52, 68, 70, 71, 72 Circuit Road. This programme is funded by MSF and SAC@MacPherson is one of the 4 centres currently conducting this programme. THK Seniors Activity Centre @ Telok Blangah Crescent is a joint project of the Ministry of Social and Family Development (MSF), Housing and Development Board (HDB), and Thye Hua Kwan Moral Charities. It aims to improve the quality of life of elderly residents living in HDB one and two-room rental flats. SAC@ Telok Blangah Crescent was officially opened by Mr Abdullah Tarmugi, Minister for Community Development on 14 July 1996. Educate our elderly on Crime Prevention, Community Living in Harmony, Health Talks and Falls Risks & Prevention. To recruit elderly to become volunteers and facilitate the seniors to form Mutual Help Groups for the well-being of our elderly especially those who are bedridden, weak and vulnerable and those who are staying alone. This programme is funded by MSF and SAC@ Telok Blangah Crescent is one of the 4 centres currently conducting this programme. 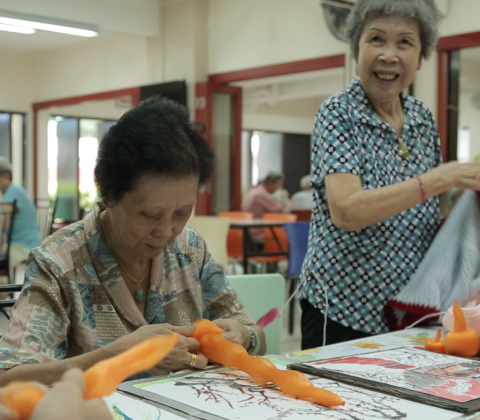 THK Seniors Activity Centre @ Toa Payoh 31 is a joint project of the Ministry of Social and Family Development (MSF), Housing and Development Board (HDB), and Thye Hua Kwan Moral Charities. It aims to improve the quality of life of elderly residents living in HDB one and two-room rental flats. SAC @ Toa Payoh 31 was officially opened on On 12 Oct 1995. THK Seniors Activity Centre @ Toa Payoh 15 is a joint project of the Ministry of Social and Family Development (MSF), Housing and Development Board (HDB), and Thye Hua Kwan Moral Charities. It aims to improve the quality of life of elderly residents living in HDB one and two-room rental flats. 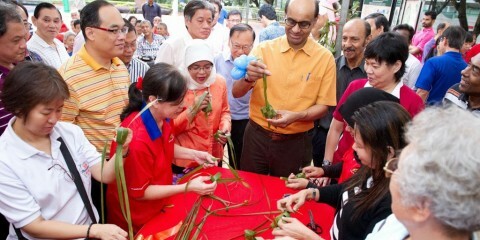 SAC@ Toa Payoh 15 was officially opened by Mr Zainudin Nordin, MP for Bishan-Toa Payoh GRC on 1 July 2012.